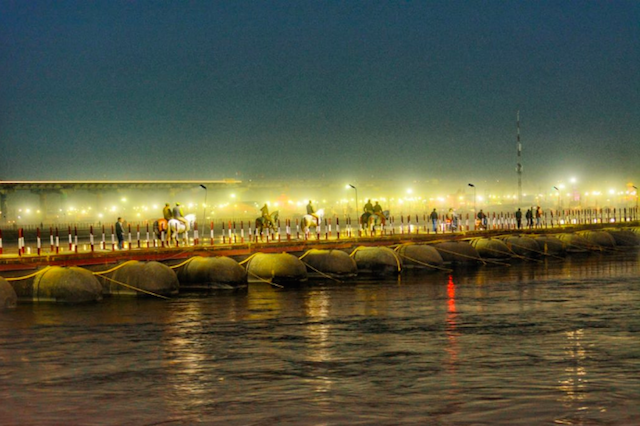 Prayagraj: The month-long Kumbh Mela formally started on Tuesday morning with thousands of pilgrims taking a holy dip in ‘sangam’ the confluence of Ganga, Yamuna and the mythical Saraswati here. More than 12 crore pilgrims are expected to attend the Kumbh Mela this year. According to reports, the Uttar Pradesh government has restricted the entry of most vehicles at the main festival site in view of the huge number of people attending. Tight security measures are in place. Fifteen departments of the Uttar Pradesh government, 28 central government departments apart from six central ministries are managing the Kumbh Mela this year. Uttar Pradesh has allocated Rs4,200 crore for the mega event, NDTV said. On Monday, a fire broke out at the Kumbh Mela ground but it was very soon brought it under control. No one was injured but a car was gutted.